Juan O'Gorman, Mexican Congress of Workers Union, 1936, Mexico City. 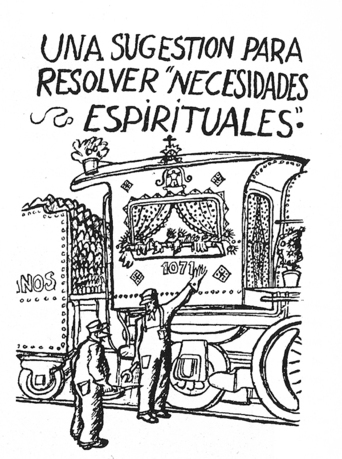 Courtesy of Archivo Juan O'Gorman, Universidad Autónoma Metropolitana. In 1948, German-born architect Max Cetto began assembling a Mexican delegation to CIAM. In that same year, Mexican architect Mario Pani initiated an independent project for the same purpose. With different educational backgrounds and almost opposite architectural orientations, both architects soon entered into a confrontation about selecting the group's members. This ultimately failed project of the Mexican CIAM delegation revealed a moment of crisis and transformation in its architecture that has never been seriously examined. 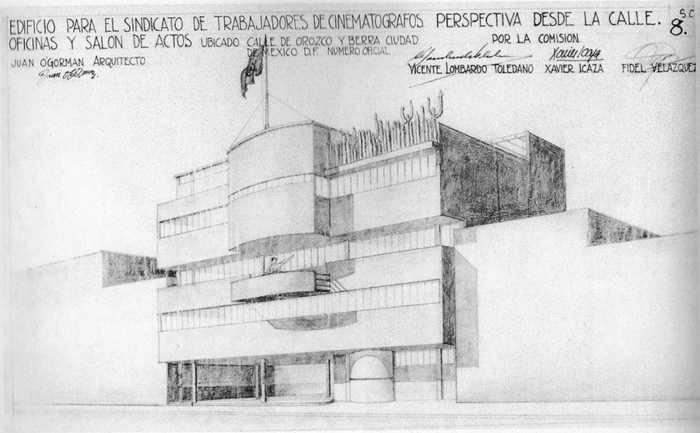 It carried, however, all the implications for the eventual consolidation of Mexican modern architecture, a professional culture then seen by foreign observers as "largely modern but lamentably mediocre." This project consists of archival and onsite research on three of the architects involved in the formation of the Mexican group—Enrique del Moral, Juan O'Gorman, and Mario Pani—resulting in the forthcoming book The Making of Mexican Modern Architecture: 1930 –1960. Juan Manuel Heredia is an assistant professor of architecture at Portland State University. He studied at Universidad Iberoamericana and received an MS and PhD from the University of Pennsylvania. He has taught at Universidad Iberoamericana, Universidad Nacional Autonoma de Mexico, the University of Pennsylvania, and Mississippi State University, as well as lectured at the University of Lincoln (UK), the Universidad Nacional de Colombia, and Universidad Veracruzana. His work has been published in Arquine and Bitacora (Mexico), On Site Review (Canada), Arkitekten (Denmark), and the Journal of Architectural Education. He co-organized the Second International Architecture and Phenomenology Conference in Kyoto (2009) and The Place of Theory in Contemporary Architectural Practice and Education conference in Bangkok (2013). His research focuses on Latin American architecture, including a book project on Mexican modern architecture. With Miquel Adrià, he is coauthor of the book Juan Sordo Madaleno (1916–1985), published bilingually by Arquine.